Have you, as a parent, ever found yourself treating your children in a way you would never tolerate from someone else? 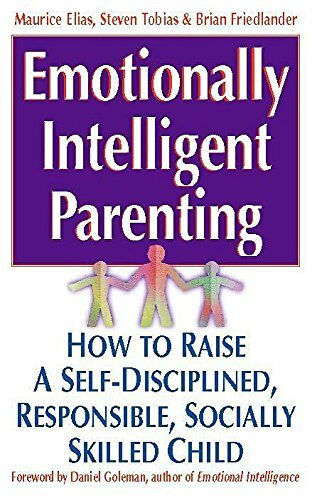 The authors of Emotionally Intelligent Parenting call for a new Golden Rule: Do unto your children as you would have other people do unto your children. And most important, they show us how to live by it. Based upon extensive research, firsthand experience, and case studies, Emotionally Intelligent Parenting breaks the mold of traditional parenting books by taking into account the strong role of emotions--those of parents and children--in psychological development. With this book, parents will learn how to communicate with children on a deeper, more gratifying level and how to help them successfully navigate the intricacies of relating to others. 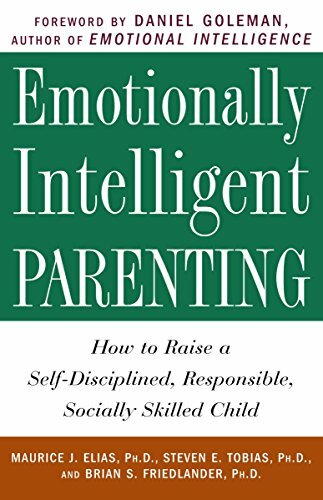 The authors take the five basic principles of Daniel Goleman's best-seller, Emotional Intelligence, and explain how they can be applied to successful parenting. 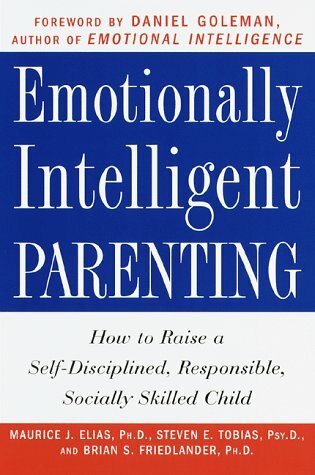 To this end, the book offers suggestions, stories, dialogues, activities, and a special section of Sound EQ Parenting Bites to help parents use their emotions in the most constructive ways, focusing on such everyday issues as sibling rivalry, fights with friends, school situations, homework, and peer pressure. In the authors' extensive experience, children respond quickly to these strategies, their self-confidence is strengthened, their curiosity is piqued, and they learn to assert their independence while developing their ability to make responsible choices. Maurice J. Elias, Ph.D., is a professor of psychology at Rutgers University, a member of the Leadership Team of the Collaborative for the Advancement of Social and Emotional Learning, a nationally recognized expert on child and parental problem-solving, and a writer and contributor to numerous professional publications and magazine and newspaper articles. Steven E. Tobias, Psy.D., is director of the Center for Child and Family Development in Morris-town, New Jersey. He is an expert on issues of child development, social skills, and attention deficit/hyperactivity disorder. He consults to schools and conducts workshops for parents. Brian S. Friedlander, Ph.D., is a software developer and school psychologist in New Jersey. His Interactive Course in Social Problem Solving, Student Conflict Manager, and Discipline Tracker software programs have helped numerous students and educators, as will his forthcoming book, Computers in Child Therapy.